So you’ve decided to hire a copywriter. Now what? 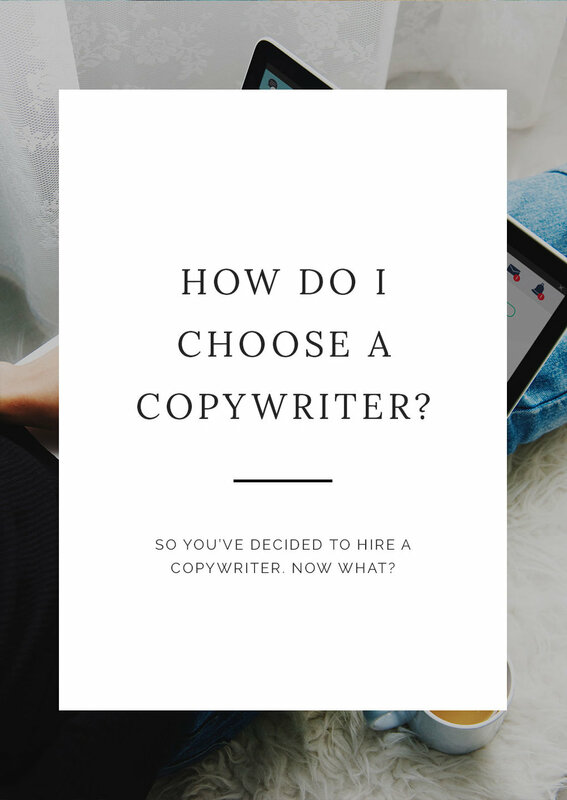 As a professional writer and marketer, I’ve learned a few key things that will help you make the best choice when it comes to copywriting. Range is important. Most people start their search for a copywriter on the internet, (as we do for most items in our life)! The thing is, the first result to come up may not be the best writer, they may just have a big marketing budget. Take the time to investigate their experience and writing samples. You want to make sure they’ll be able to accurately capture your voice as well as provide quality content on your subject matter. Choose quality over cost. I remember when I was working with someone who had requested blogs for a personal training business. The blogs came in at a great price for the client but they suggested that a personal trainer could help you get fit by “taking longs walks on the beach with you”! Ummmm, what? Not only did the author completely miss the mark on the industry, the blog required a total rewrite due to spelling and grammatical errors. Don’t skimp on quality content that you can use over a cheap cost for garbage. Choose someone you enjoy working with! Most people I work with are heavily invested in their businesses. They’re proud of what they have built and they want someone who appreciates their passion. Whether you’re hiring a copywriter for a one-time project (like a website or presentation review) or a long-term relationship (like blogs), the point of hiring an expert is to offload some of the stress those tasks can cause. Don’t add it right back by working with someone who has too large of an ego to come alongside your vision for your company.